An automobile was once a luxurious commodity, but in today’s economically developing world, a car is a necessity for various reasons; ranging from professional to recreational. Owning a car is not only about luxury & comfort but more about practicality, convenience and functionality. Applying for a car loan is just a few clicks away. Almost every bank today offers car loans and at attractive interest rates and other benefits. Based on one’s affordability, it is now, quite easy to take a car loan and then pay EMIs without really biting into a person’s finances. EMI Calculator is a simple and smart tool to calculate the monthly amount payable to the lender (Bank). It’s basically a slider where you have to enter the values as per the Principal amount (P), Time duration (N), and Rate of interest (R). You can also try ClearTax Loan EMI Calculator to find out how much EMI you will need to pay every month and figure out your budget in advance. Car loans can be availed through different mediums. Either you directly go to the bank branch and enquire or you can apply online. 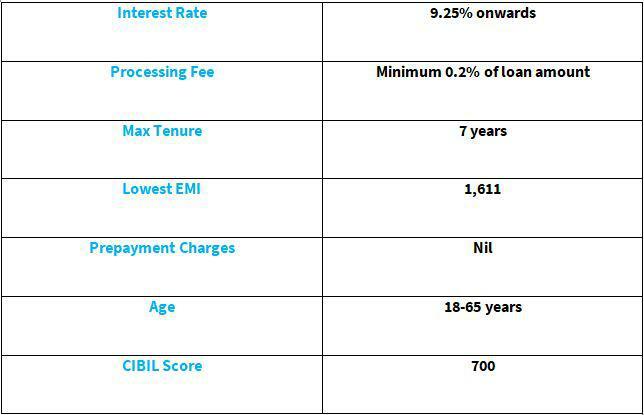 The bank you choose will collect your documents and initiate the loan process which includes checking your CIBIL score, the value of the asset (vehicle), eligibility calculation etc. and then give a decision on your loan based on the evaluation results.